Non-pharmacological interventions have been shown not only to reduce blood pressure and delay the appearance of hypertension but also to improve glucose and cholesterol metabolism. They also affect other aspects of metabolism and have also beneficial psychological aspects. Thus, non-pharmacological interventions should be recommended to the entire public including healthy subjects, prehypertensive and hypertensive subjects as well as all those with increased CVD risk. Generally, the greater the risk of CVD, the greater the benefit of intervention. Lifestyle interventions remain the cornerstone of therapeutic approach with or without pharmacological treatment. However, things are not so simple, the evidence of the beneficial effect of such interventions is proven only in RCT’s (Randomized controlled studies) and not in real life setting. Subjects that are included in a RCT are in a “laboratory” surrounding with specific support and supervision, the data may be different in “wild” unsupervised settings. These methods are associated with difficulties in compliance implementation and persistence. Prehypertension is the gray zone between normotension and hypertension and is associated with gradual increase in blood pressure until becoming hypertensive. These subjects are at increased CVD risk and the majority of them will become eventually hypertensive. 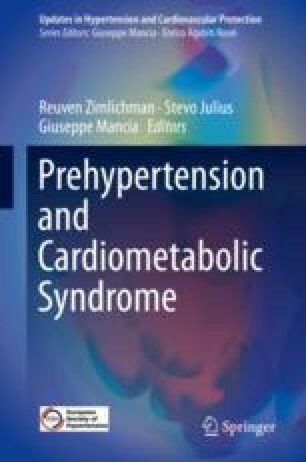 While the pharmacological treatment of prehypertension is still disputed there is no dispute regarding the justification to use the non-pharmacological approach in prehypertensive patients in order to delay transition to hypertension and to lower CVD risk.